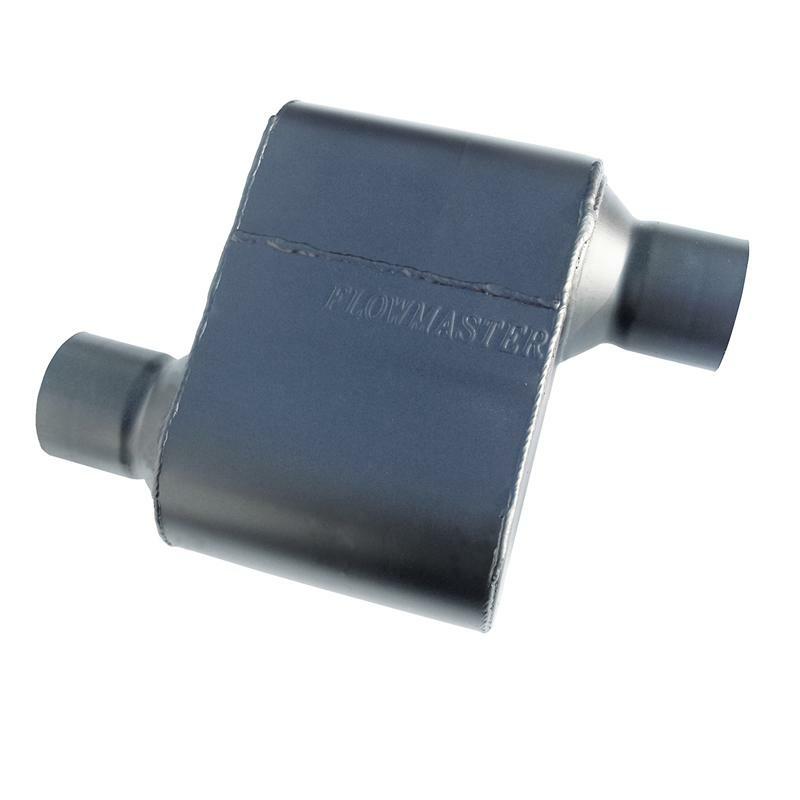 Super 10 Series 409S stainless steel – single chamber mufflers. Intended for customers who desire the loudest and most aggressive sound they can find. Because these mufflers are so aggressive, they are recommended only for off highway use and not for street driven vehicles. These mufflers utilize the same patented Delta Flow technology that is found in Flowmaster’s other Super series mufflers to deliver maximum performance. Constructed of 16 gauge 409S stainless steel and fully MIG welded for maximum durability.